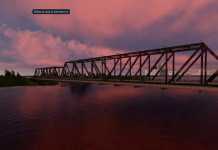 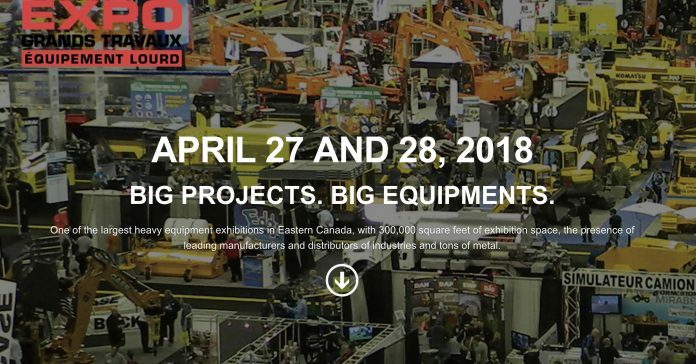 Expo Grands Travaux, described by organizers as one of the largest events in Canada’s heavy equipment industry, is gearing up for its return to the Olympic Stadium in Montreal April 27 and 28. Show producers Master Promotions say they anticipate the event will sell out, with already 95 per cent of the floor space booked. Held every two years, the last edition in 2016 edition welcomed 12,676 qualified buyers and featured over 200 exhibitors displaying tons of heavy equipment for projects of all sizes. 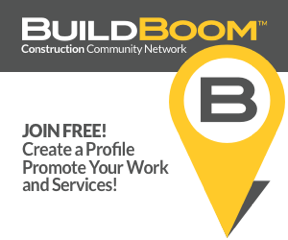 The 2018 edition is endorsed by key industry associations including the Snow and Ice Management Association (SIMA), l’Association des propriétaries de machinerie lourde du Québec (APMLQ), the Quebec Chapter of l’Association des travaux publics d’Amérique (ATPA), l’Association Béton Québec (ABQ), l’Association des constructeurs de routes et grands travaux du Québec (ACRGTQ) and l’Association des Paysagistes Professionnels du Québec (APPQ).